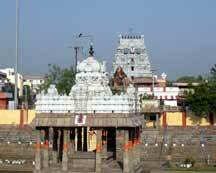 The Parthasarathy Temple is an 8th century Hindu Vaishnavite temple dedicated to Lord Krishna, located at Triplicane, Chennai, India. 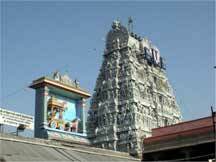 It is one among the 108 divyadesams or holy abodes of Lord Vishnu. The name 'Parthasarathy', in Sanskrit, means the 'charioteer of Arjuna', and Lord Krishna is worshipped in that role in this temple. It was originally built by the Pallavas in the 8th century and then later renovated by the Cholas and the Vijayanagara kings. One of the distinguishing features is that it contains the deities of the four incarnations or avatars of Vishnu: Narasimha(lion), Rama, Varaha(boar) and Venkata Krishna.